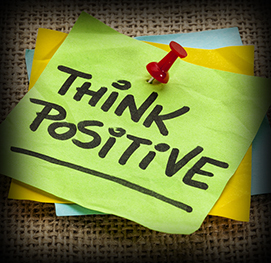 Positive emotions have been linked with better health, longer life, and greater well-being in numerous scientific studies. On the other hand, chronic anger, worry, and hostility increase the risk of developing heart disease, as people react to these feelings with raised blood pressure and stiffening of blood vessels. But it isn’t easy to maintain a healthy, positive emotional state. 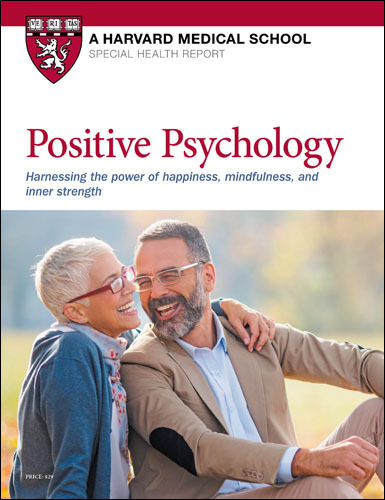 Positive Psychology: Harnessing the power of happiness, mindfulness, and inner strength is a guide to the concepts that can help you find well-being and happiness, based on the latest research. Positive emotions have been linked with better health, longer life, and greater well-being in numerous scientific studies. On the other hand, chronic anger, worry, and hostility increase the risk of developing heart disease, as people react to these feelings with raised blood pressure and stiffening of blood vessels. But it isn’t easy to maintain a healthy, positive emotional state. People often misjudge what will make them happy and content. Positive Psychology: Harnessing the power of happiness, mindfulness, and inner strength is a guide to the concepts that can help you find well-being and happiness, based on the latest research. This report includes self-assessment tests and step-by-step advice and exercises to help you maximize the positive emotion in your life. How do you “get happy”? For decades, he explored people’s satisfaction in their everyday activities, finding that people report the greatest satisfaction when they are totally immersed in and concentrating on what they are doing. In studies by Csikszentmihalyi and others, flow experiences led to positive emotions in the short term, and over the long term, people who more frequently experienced flow were generally happier. Researchers have also found that people vary in how much they value having flow experiences, and in how easy they find it to enter flow. No matter what your natural tendency, recognizing how flow occurs (or doesn’t) in your life and creating opportunities for more flow experiences can be a potent route to increased happiness. To investigate the flow experience, Csikszentmihalyi used a research method called “experience sampling.” He tracked people’s actions and feelings in their natural setting (outside of a laboratory) and in real time rather than recalled later in interviews or diaries. With this method, participants are beeped at random points during the day and asked to briefly record what they are doing, who they are with, and how they feel. How do you know if you’re in flow? According to the research, Csikszentmihalyi and others found that flow experiences have several common characteristics. You aren’t thinking about yourself. You aren’t focused on your comfort, and you aren’t wondering how you look or how your actions will be perceived by others. Your awareness of yourself is only in relation to the activity itself, such as your fingers on a piano keyboard, or the way you position a knife to cut vegetables, or the balance of your body parts as you ski or surf. You aren’t interrupted by extraneous thoughts. You aren’t thinking about such mundane matters as your shopping list or what to wear tomorrow. You have clear goals at each moment but aren’t focused on the goal line. Although you may be working toward an ultimate goal, such as earning a graduate degree, making a wedding cake, or winning a chess tournament, that goal is not your primary motivation. Rather, you find the activity itself to be rewarding — mastering or explaining a line of thinking in your academic work, creating tiers of beautiful icing, or visualizing your way out of a sticky chess situation. You are active. Flow activities aren’t passive, and you have some control over what you are doing. You work effortlessly. Flow activities require effort (usually more effort than involved in typical daily experience). Although you may be working harder than usual, at flow moments everything is “clicking” and feels almost effortless. You would like to repeat the experience. Flow is intrinsically rewarding, something you would like to replicate. In a 2005 study, presented at the Northeastern Recreation Research Symposium, researchers reported that 60% of people hiking the full length of the Appalachian Trail reported experiencing flow, usually on a daily basis, and more than 80% expressed a desire to hike the trail again. In rating the things they enjoyed, the hikers said they enjoyed the experience and activity itself, as well as using their skills. In contrast, external factors, such as competition with others and the prestige of completing the trail, were rated dead last in what made the experience enjoyable. The good news about flow and happiness is that you can increase the amount of flow experience in your life and reap the benefits, although it takes a certain amount of effort and comes more naturally to some people than others. Flow experiences, researchers have found, occur when there is a balance between the challenge of an activity and the skill you have in performing it. For an adult, playing a child’s card game that requires no real skill is not likely to be a flow experience, but playing the next level on a video game that you have partially mastered may be. When your skill is high but the challenge is low, boredom is the likely result. Set the challenge too high, though, by undertaking something that is way beyond your skill, and you’re out of the flow again. Flow is more likely to happen when you’re playing a well-matched opponent, practicing a piano piece just a bit harder than the last one, or driving unfamiliar terrain in a car you feel confident controlling. Enhancing your ability to experience flow in multiple domains can lead to greater happiness. You can’t force flow, but you can invite it to occur more often, even in areas of life where it might seem unlikely.